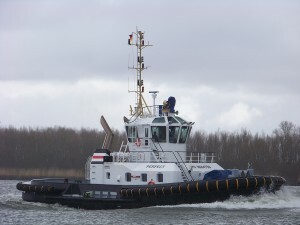 Leading German towage services provider URAG has taken delivery of two ASD 2411 tugs to add to its existing fleet. Named Brake and Perfect, the new vessels have joined their sister ship Prompt in the port of Hamburg under the URAG subsidiary Lutgens und Reimers (L&R). The order for the tugs was placed in September 2014, and work began immediately on the twin vessels at the Damen’s partner yard Song Thu (Da Nang) in Vietnam. Like the Prompt, the two new ASD 2411 tugs feature excellent manoeuvrability and outstanding towing capabilities with a bollard pull of 70 tonnes. At 24.5 metres they are ideal for restricted waterways as well as open water assignments. Extra thick plate was used in the construction, along with extra brackets and fendering, to ensure maximum durability. The Brake and Perfect are economically efficient in terms of both low fuel consumption and operating costs due to their design and reliability. From Vietnam the tugs were shipped to Damen Maaskant Shipyards Stellendam for a final inspection and outfitting before being officially handed over to URAG on Thursday, March 19. “They arrived in their new home of Hamburg the following Monday at 17:00. By 10:00 the next morning they had all their final certificates and permits to operate in Hamburg Harbour and by 13:30 the same day they both did their first job, with me on board the Brake,” said URAG’s Michael Staufeldt the following day. 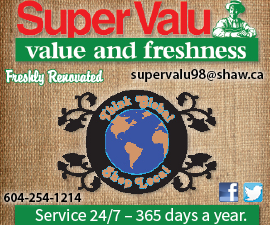 “They now have five to six jobs respectively in their logbooks and are leaving in 15 minutes for their next. 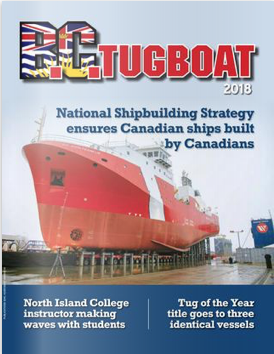 It looks like we will perform around 18-20 jobs alone today, which is pretty good for only four tugs! They are really being tested. The crews are very enthusiastic about the new arrivals given their positive experiences with Prompt, and are looking forward to optimizing them for their specific duties.” Together the three vessels now represent the core fleet of L&R in Hamburg. 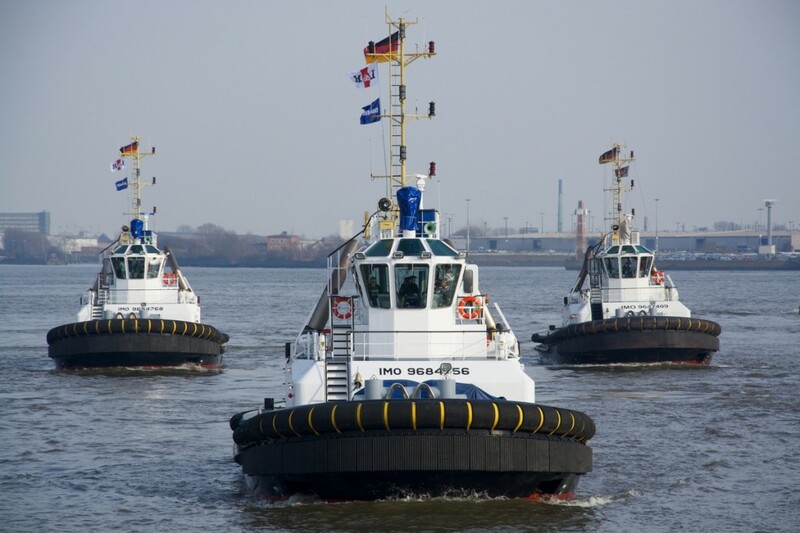 The port of Hamburg has a significant number of Damen vessels in service with several operators. 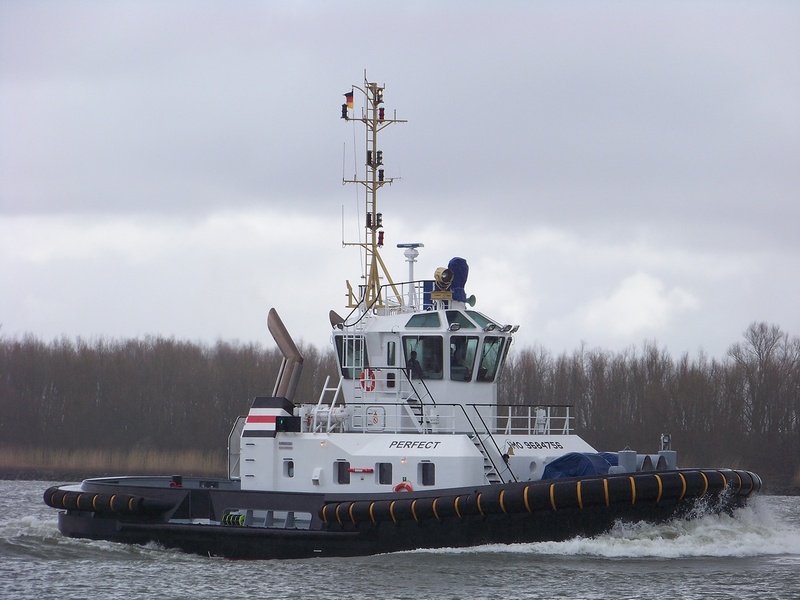 In addition to an existing fleet, this year alone has seen the delivery of an ASD 2913 to Petersen & Alpers, an ATD 2412 to Kotug and now the two ASD 2411 tugs to URAG.